IIUM commissions WUPID Overall Best Speaker trophy and renames it after the late Dr. Muhammad Arif Zakaullah. If this trophy were to be renamed, it only makes sense that it would be rebranded in memory of the late Dr. Muhammad Arif Zakaullah. 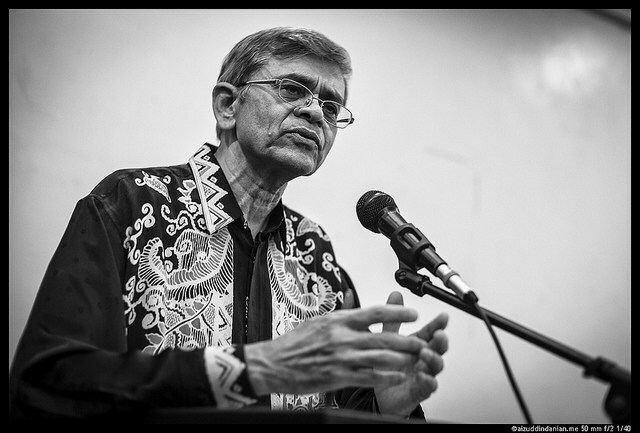 Dr. Arif’s vision of a sustainable institution for critical discourse and speech led him to a long involvement with IIUM’s debating unit – SPICE. He was instrumental in the formation of the unit and its expansion into becoming a globally recognised debating institution. What strikes most people about Dr. Arif, is his unquenchable thirst and devotion towards debating excellence. You can clearly see this through the IIUM debaters during his leadership at SPICE. They hate to lose. And they hate it with a passion. Dr. Arif’s contribution in debating was also extended beyond IIUM and received throughout the country. IIUM’s dominance in debating not only made it an institution that was feared in competitions, it made IIUM a benchmark and referral point for the nurturing and development of debating for many universities within the country. Debating quickly became a fashion, with IIUM as the trend setter. IIUM now remains a dominant and sustainable force in Malaysian debating. Their dominance have reached international scales with historic successes at Asians and Australs, reaching the grand finals of the World Championships and making significant impacts in tournaments like the Oxford and Cambridge IV. This may all be achieved after Dr. Arif’s departure from IIUM, but it is certainly all due to the solid foundation carved by the founding director of SPICE. In memory of his devotion to debating excellence, the Overall Best Speaker Award of the World Universities Peace Invitational Debate will now bear his name – Dr. Muhammad Arif Zakaullah Memorial Trophy. Featured image courtesy of Aizuddin Danian, former IIUM debater. You can also read more about Dr. Arif in his blogpost here. Previous Entry:[Revised] Minister Of Higher Education Malaysia To Officiate The Return Of The World Universities Peace Invitational Debate. Next Entry:40 teams to compete at the inaugural QIUP National BP Novice Debating Competition.